The Sikadur-Combiflex Jointing System consists of a Sika® Hypalon Strip and Sikadur 31 epoxy resin adhesive. Combiflex Hypalon Sheet is a highly elastic, rot-proof and chemically resistant sealing sheet with a thickness of 1 mm or 2 mm. Sikadur 31 adhesive is epoxy resin based and establishes a strong bond to the substrate. Tunnels, culverts and ventilation ducts. Reservoirs and water retaining protection. Applicable on dry and damp (not wet) surfaces. For large expansion joints or cracks. Permanent elasticity even at low temperatures. No need to remove existing failed sealant. Suitable for contact with potable water. Suitable for new and existing joints. Can be internally or externally applied. Accommodates variation in joint width. Accommodates movement in more than one dimension. Also suitable for crack repair and sealing around penetrations. Long term: To water, lime water, cement water, sea water, salt solutions, domestic sewage, bitumen, emulsion type bituminous coatings. Short term: To light fuel oil, diesel, diluted alkalies and mineral acids, ethanol, methanol, petrol. The above chemicals are a guide only. Regarding specific chemical resistance, exposure trials should be carried out. Consult the Sikadur 31 technical data sheet for additional information. All above values are approximate. Sika products are generally harmless provided that certain precautions normally taken when handling chemicals are observed. The materials must not, for instance, be allowed to come in contact with foodstuffs or food utensils and measures should also be taken to prevent the uncured materials from coming in contact with the skin, since people with particularly sensitive skin may be affected. The use of protective clothing, goggles, barrier creams and rubber gloves is required. The skin should be thoroughly cleaned at the end of each working period either by washing with soap and warm water or by using a resin-removing cream - the use of powerful solvents is to be avoided. Disposable paper towels - not cloth towels - should be used to dry the skin. Adequate ventilation of the working area is recommended. In case of accidental eye or mouth contact, flush with water - consult a doctor immediately. Health and Safety information on Sika Products is available and we strongly advise that this is read prior to their use. 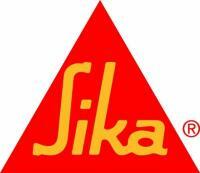 Sika products are for professional use and should be stored in sealed containers away from the reach of children. Important Note: The information, and, in particular, the recommendations relating to the application and end-use of Sika products, are given in good faith based on Sika’s current knowledge and experience of the products when properly stored, handled and applied under normal conditions. In practice, the differences in materials, substrates and actual site conditions are such that no warranty in respect of merchantability or of fitness for a particular purpose, nor any liability arising out of any legal relationship whatsoever, can be inferred either from this information, or from any written recommendations, or from any other advice offered. The proprietary rights of third parties must be observed. All orders are accepted subject to our current terms of sale and delivery. Users should always refer to the most recent issue of the Technical Data Sheet for the product concerned, copies of which will be supplied on request. Please consult our Technical Sales Department for further information.